Mike Saunders Jr. PG 2020, G3 Grind UA, after losing his first game opening night at the prestigious NY2LA Sports Swish n Dish event in April, Saunders Jr. and his G3 Grind squad have been on a tear taking the 16u championship at SND and now on an 8-0 run in the UA association, latest offer coming from Tennessee-Martin. Saunders has a very high basketball IQ, lightning quick with the basketball, getting end to end with the basketball faster than anyone in the country. Bryant Brown SF 2019, Illinois Wolves UA, has been solid all spring with his play and turned some heads, had a good showing at the Spiece Run n Slam event this past weekend in Fort Wayne, IN as well as the UA Association Circuit while competing with his Il Wolves squad. Brown continues this play head into the summer he will definitely see a rise in his stock. Moses Moody SG 2020, Brad Beal Elite EYBL, with offers pouring in since his hot start at NY2LA Sports Swish n Dish event back in April, offers received offers from Ole Miss, Illinois, Missouri, SMU, Texas A&M and Texas. Moody can flat out shoot the basketball, his hot play has continued into the EYBL Circuit with BBE. Desmond Polk SG 2020, Phenom University EYBL, a long lean marksmen with range, Polk started the month a bit slowed due to injury but in flashes the talented guard has shown an ability to catch and shoot while making solid plays on the defensive end. Far from a finished product, Polk has skill and instinct that he combines with size and athleticism to make for an intriguing prospect. He currently holds offers from Kansas State, DePaul, Minnesota, Bradley, UW-Milwaukee, and UW-Green Bay. Jalen Suggs PG 2020, Grassroots Sizzle UA, offers for both football most recently Nebraska (Scott Frost) and basketball with the latest coming in from Jeff Capel and Pittsburgh as well as West Virginia and Xavier. Competing on the UA Association circuit Suggs has continued to play well this spring after a hot start at the NY2LA Swish n Dish. Michael Foster Jr. SF 2021, Milwaukee Spartans Adidas Gauntlet, the Arizona State commit is the real deal, every time out you get glimpses of the athleticism and skill set of Foster. Known for monster double-double games in high school and that trend is continuing on the travel basketball circuit. Already solidified as the top prospect in his class look for Foster to put a stamp on that claim heading into the July live period. Jalen Johnson SF 2020, Phenom University EYBL, with his most recent offers after coming on the EYBL 16u circuit LSU, Minnesota, USC and Arizona State. Johnson has great skillset that allows him to use his large 6’8 frame to get to the rim and finish in traffic or step out and knock down 3’s from the perimeter. John is currently competing on the EYBL Circuit with a current record of 6-2. EJ Liddell PF 2019, Brad Beal Elite EYBL, all around great young man coming off a Illinois state championship and finishing off the high school junior campaign being named Mr. Basketball of Illinois, so not a bad start to spring for Mr. Liddell. Liddell has most recently seen offers coming from Texas A&M, Georgetown as well as in home visits from Illinois, Kansas State, Ohio State and Northwestern this past month. 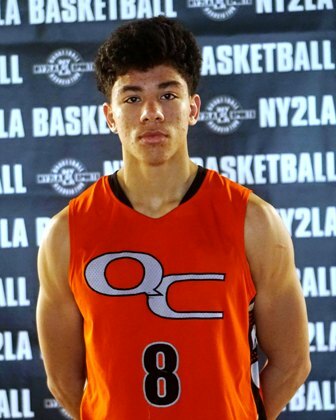 DJ Carton PG 2019, Quad City Elite NY2LA, another all-around great young man recently being added to the prestigious upcoming USA 18u basketball team roster try-out, Carton has seen the likes of Michigan, Indiana, Illinois, Iowa, Arizona State, Minnesota, Michigan State, Iowa State and Ohio State all seated courtside for him when he touches the hardwood. Look for Carton to continue this strong play heading into the summer session in the NY2LA Association. 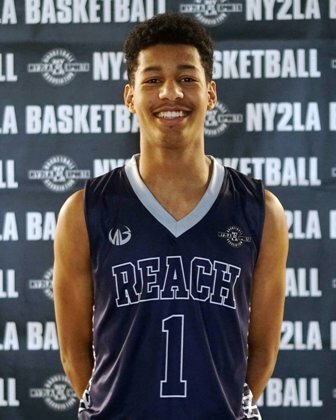 Harlond Beverly PG 2019, Reach Legends NY2LA, one of the most dynamic players on the NY2LA Association circuit, there are a plethora of HC and assistant coaches taking in Beverly every time he hits the hardwood. Beverly has recently seen offers extended from Texas and Minnesota, there are plenty more that are continuing to track and follow him as he wraps up a solid spring campaign. 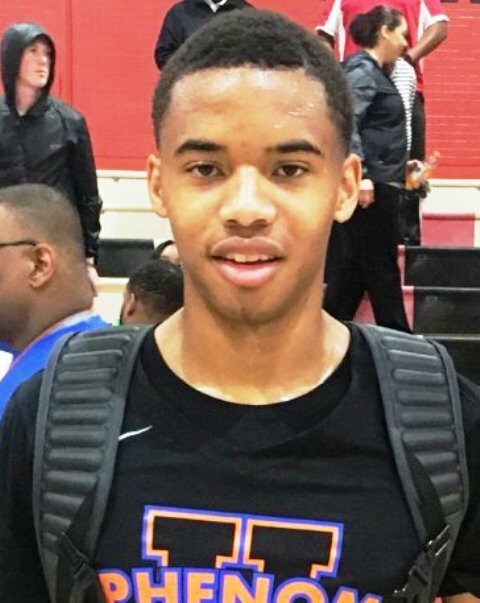 Terrence Shannon PF 2019, Mac Irvin Fire EYBL, the reclassified 2018 has seen his stock rise this spring, making his decision to reclassify look like a smart move, Shannon has burst onto the national seen in a huge was while competing on the EYBL circuit with Mac Irvin Fire. Shannon has seen offers from the like of ACC pour in this April with the following programs extending offers Wake Forest, Florida State, and Virginia Tech. Wendell Green Jr. PG 2020, Michigan Playmakers NY2LA, An ultra-quick and tough lead guard with handles, explosiveness, range, and the ability to break down defenders, Green goes hard on both ends and he controls the tempo. An alpha on the hardwood, Green is skilled, instinctive, and tough and the type of guard you want on the court in crunch time when it matters most. Amari Bailey SG 2022, Mac Irvin Fire EYBL, since de-committing from DePaul Bailey has been on a tear on the EYBL 16u circuit, such a skilled player already with tremendous upside and ability to finish at the rim. Look for the offers to begin piling up for Bailey by the end of July. Jalen Williams G 2019, Blue Chips Power NY2LA, a long lean athletic and skilled guard with range, handles and vision, Williams already holds a number of Division 1 offers and that should increase by summers end given his skill and ability to produce with consistency. He brings a lot to the table and he’s just scratching the surface. Look for mid and possible high major schools to watch him closely in July as Williams is one of the better kept secrets on the West Coast. Patrick Baldwin Jr. SF 2021, Phenom University EYBL, with his strong play across the April live period in Dallas and Indy Baldwin has seen his recruitment take off with the likes of Marquette, Minnesota, Kansas State, DePaul, University of Southern California and Arizona State University all extending offers. Baldwin has been consistently good show casing his ability to shoot the basketball and finish at the rim. Look for that trend to continue in May and through the summer with Baldwin getting more acclimated with the EYBL circuit grind. Dain Dainja PF 2020, Grassroots Sizzle UA, love this kids motor and drive, he gets after it on both ends of the floor, solid hands, good foot work and knows how to finish around the rim. Dainja has been an absolute force with Grassroots Sizzle on the circuit this past spring while recently seeing offers from Pittsburgh, Baylor, West Virginia, Minnesota and Iowa after his strong play this past spring on the UA circuit. Chris Moore SF 2020, Woodz Elite 16u EYBL, does not disappoint when you see him play, gives you 110% every single possession and doesn’t take plays off, tremendous rebounder and defender. That hard work and effort has landed his Woodz Elite squad a 1stand 2nd place finish on the EYBL 16u circuit with only 1 loss after 2 events. Has recently seen offers from Ole Miss, Abilene Christian University, Arkansas and Oklahoma State after strong play at both EYBL sessions in Dallas and Indianapolis. Dimingus Stevens SG 2020, Team Takeover Black 16u EYBL, probably one of the most dynamic shooters in this class, his ability to shoot off the dribble and pretty much anywhere on the court makes Stevens a threat for anyone guarding him. Had a solid outing in Dallas at the 1st EYBL event on the circuit look for Stevens to continue that trend heading into the ATL session 3 this weekend. Rongie Wesley-Gordon PF 2020, Georgia Stars EYBL, has recently seen an offer from Georgia Tech, easy to see why Josh Pastner is all over Wesley-Gordon, tremendous skillset, great basketball IQ, very good defender and finishes well around the rim. Motor doesn’t stop Rongie can get it done at both ends of the floor, look for him to continue that trend heading into the next 2 sessions of the EYBL 16u. Romeo Weems SG 2019, Meanstreets EYBL, here is a guy that loves to play defense and get after the best offensive player on the opposing team. Weems strong play helped him capture the best defensive player award at the 2nd EYBL session in Indy. With his strong play this spring he has received offers from Arizona State, Arkansas Little Rock, Illinois and Minnesota. JayShawn Moore SG 2020, Reach Legends NY2LA, nice long athletic guard with tons of upside and ability to get to the rim and finish in traffic. Moore is quickly on the rise in the NY2LA Association picking up an offer from Cleveland State. Look for these offers to continue coming in for Moore as he continues his strong play in the NY2LA Association. Josh Corbin SG 2019, All Ohio Red EYBL, fresh off the 17u championship at Spiece annual Run n Slam event, Corbin has definitely seen his stock climb, with new offers rolling in from Boston University, Kent State, James Madison University and Robert Morris University over the past couple of months look for this trend to continue. Look for Corbin to make a huge impact at the next stop of the EYBL circuit in Atlanta and Boo Williams. Donyae McCaskill G/F 2019, Yanders Law NY2LA, an explosive guard wing type with the ability to fill the box score, McCaskill has athleticism, instincts, and improved skill and he makes an impact on both ends. He can slash, score in transition, lock down defensively, and he is just starting to take off. His best basketball lies ahead and both low and mid-major D’1 should look closely at him this summer. Carter Gilmore F 2020, Wisconsin Shooters NY2LA, a long lean skilled and advanced instinctive forward, Gilmore has range beyond the arc that he pairs with nice length, vision, and a decent feel for the game. He can score inside and outside, he has the ability to rebound effectively, and he makes solid decisions with the basketball. He looks like he still may grow and his best basketball lies ahead. A very intriguing prospect moving forward. Legend Stamps F/C 2019, Inland Empire NY2LA, a solid interior prospect with the ability to score inside and outside, Stamps has size, length, and some decent agility and athleticism. He consistently filled the box score this past April and he did so while showing improved skill and versatility on both ends. Another solid Division 1 prospect to keep close tabs on this summer.